Shakti Upasana or ‘Worshiping Shakti’ is a very ancient tradition in the Indian subcontinent. The Shakti or Devi (as she is referred to in this region) upasana finds mention in Vedas as well. The followers and adherents of Shakti have been great Rishis, Tantra adepts, sages and Mahatmas but in present times we see that most of the people are not fully aware of even the basics of what Shakti Upasana is. Upasana (Upa = Near, Asana = To sit or Seat) essentially means to “sit nearby on being in vicinity”. So it can be said that the Sadhana is the way or the means by which one gets to sit near the “One who is worshiped or revered.” But the question would be where is that Shakti? The Shakti is a Tattva within us through which one can control and transcend the Maya (illusion). Thus, Shakti Upasana is the means or method by which one can control Maya and when Maya is subdued one gets freed from attachments leading to Moksha (Salvation). So Shakti Upasana becomes the means to achieve Moksha or liberation from the clutches of illusory suffering that this worldly experience is all about. However mostly we find that Shakti Upasana is done for various worldly achievements and success instead of its true goal. So here it becomes important for us to understand various forms of Shakti Upasana. Human body is a small universe in itself. All the components of the universe are present within the human body, most of them in their subtle forms and some in grosser manifestations. Through Sadhana a Sadhak/Sadhika (practitioner) essentially tries to connect with the various tones and hues of energies within him/her only.. thus gradually acquires control over some or all of them to achieve success. Success is a subjective matter and shakti is capable of whatever your desire.. yet in Srividya tradition of Tantra a practitioner is primarily desirous of Salvation. Therefore connecting with the Shakti Tattva within and strengthening it to allow one’s passage to Shiva-Shakti consciousness is THE success in this case. Going by the principle of ‘Yatha Pinde Tatha Brahmande’ even if we are trying to connect to Shakti in “a form” outside us (as many at times in ritualistic methods done), we are essentially connecting to Shakti within us. Because the seemingly different Pramaataa-Prameya and Pramaan is unbroken continuum of Shakti only. The common thread always remains the same – the awareness of highest kind (Turya). So there should not be any doubt whatsoever in one’s mind whether one is engaged in ‘antar-upasana’ (inner esoteric means) or ‘bahya upasana’ (ritualistic means).. both lead to the same experience at the end. The only superficial difference lies in the beginning.. later it leads to the similar experience of unified Shakti. The Shakti which is in ‘form’ is transmuted to ‘formless’ and vice versa. This ultimate experience is liberating in the sense that it destroys sadhaka’s all preconceived notions about the direction cognition of this world and most importantly about The Shakti herself. Now comes the question what are the various means through which we can connect and experience communion with different overtones, hues and attributes of the Shakti. There are two means one is Yog Sadhana and other is Mantra Sadhana. Yog Sadhana has many branches like Ashtang Yog, Layayog, Rajyog, Surat shabdayog, and even Mantra Jap is one of them. So we can say there is only one means to the end and it is the end in itself too; connecting with Shakti is Yog. Remember in every spiritual system the means has to merge in the end. Therefore Tantra is that Yog where sadhaka merges in Shakti through use of mantra. Mantra Sadhana seems to be the most easy means in today’s time, as we see most of the people seeking Gurus do not want to be inducted in some Sadhana, but to get some Mantra that can be beneficial to them on all the levels. But there are rules and regulations under Mantra yog which are important to be known for all the seekers and concerned. The success of Mantra Sadhana depends on three things, one is pronunciation of the Mantra. In Chandogya Upanishad, importance is exerted on pronunciation of Mantras. It is said even a little mispronunciation destroys the effects of the Mantra. The other is method of Mantra jap. Wrong and incomplete methods also fail to bring desired results. We have seen people keep doing mantra jap without getting any results and finally lose hope and stop it. They further say that this is all fake and waste of time. But the reality is that they do not know the right way to do Mantra Jap. The third and most important thing is the emotional connect and Trust on Guru’s intent while accepting the transmission of the mantra. Above all this – in Tantra, before starting any Sadhana, Tattva Shuddhi is an essential part without which a Sadhak cannot move further in his/her Sadhana. When Mantra received from a capable Guru is taken up and done properly (using complete method and correct pronunciation) after Bhuta Shuddhi it shall never fail to give its results to the practitioner. Some people have doubt on the efficacy of Mantra but we all know that every spoken words releases a vibration in the universe. Majority of your personal life if not all is sum-total of words expressed by you. When words are spoken loudly, outer universe reverberates and when spoken mentally, the inner universe reverberates. The words spoken mentally are more effective. The vibration produced by the word forms a symbol and this symbol stays in the universe till it is absorbed by matter or till it becomes dull and inactive. Varying pronunciations of the same word form various symbols. Also regulated and determined articulation of sounds produces continuous symbols. By understanding the above principles we can say that every Mantra jap has to produce some result. And when Mantra jap is done the right way its results are also reproducible. “Hidden Secrets of Panch-Kosha & Chakras” is a 10 Hour knowledge intensive programme in spiritual processes for all Yoga practitioners, Meditators, Healers and Spiritual practitioners under the guidance of Masters Ma Shakti & Acharya Agyaatadarshan Anand Nath, the founders of The Shakti Multiversity® catering to the very needs of modern man in the direction of spiritual-training & advancement; an essential knowledge for choosing right practices for self. This knowledge-packed workshop is MUST ATTEND for every person who is aiming at Tattva Shakti Vigyaan ‘Discipleship Programme’. It is equally helpful for all the spiritual seekers who are currently engaged in or planning to take up any kind of spiritual practices. It is a fact that thousands of New Age Spiritual Enthusiasts are risking their sanity and balance today by mindlessly adopting / accepting inauthentic methodologies centered around Kundalini, Chakras, Yoga, Healing etc. It happens mainly because innocently inquisitive seekers jump for virtually anything and everything that is on the offer without complete understanding of the subject. This programme is for you – If you are having one or more than one symptoms almost constantly and also practicing any kind of meditation, kriya, healing, blessing-service etc. you must take these bit more seriously. This programme shall help you understand the root-cause of your issues and plan the remedial strategies ensuring spiritual progress. If you are planning to choose any spiritual or healing course for self, being informed is of highest value. When you understand the hidden dangers and subtler nuances of the chosen subject this prior in-depth information helps you avert the dangers on the path you choose. This programme by Masters offers never before knowledge even for the advanced spiritual practitioners and students of Kundalini, Yoga, Healing or Chakra. This 10 Hour intensive programme aims at giving the aspiring spiritual seekers / practitioners a clear understanding of the least understood but most wonderful and advanced tool we have – Our body! This programme is about serious seekers and those who are just beginning to explore the field of spirituality with deep desire for self-actualization. For those who wish to attend ‘Hidden Secrets of Panch-Koshas and Chakras’ programme basic understanding and appreciation for subtle forces within the human body is needed. To ensure as a participant you gain maximum benefit from this intensive 10-Hour direct learning from Masters, you must attend the ‘Nadi-Shodhana – A Complete Wellness Programme’ prior to it. Are you desiring to achieve a perfect state of physical, mental and emotional well being? Do you wish to improve your relationship with self and others? Do you yearn for spiritual growth & balance in life? Normally such holistic growth requires one to enter in a spiritual path with complete dedication and spend huge amount of time with the able Master or Guru but neither everyone has so much of time nor everyone is ready to take the plunge. If you too are looking for success, health and peace; If you are searching for answers in your life Panch Mahabhuta Shakti Kriya* is your answer. Our whole being resonates with the rhythm of the universe. This unique amazing rhythm of the universe is created by the play of five elements also known as Panch Mahabhuta. The Five Great elements are not only supporting us on the gross level, but they are the foundation and basis of who and what we are. Our every thought and action arises from the play of these five elements and further affects them too. Working with the five elements simply means tending to the roots. Panch Mahabhuta Shakti Kriya is an ancient Tantric Kriya that purifies and balances the five elements. The Five Great elements are Earth, Water, Fire, Air and Space. 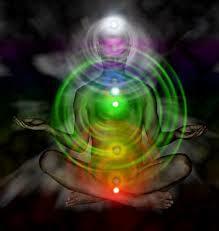 The Chakras in our body are the abode of the five elements. The Earth element (Prithvi) resides in Root Chakra (Muladhara). The Water element (Jal) resides in Sacral Chakra (Swadhisthana). The Fire element (Agni) resides in Solar Plexus (Manipura Chakra). The Air Element (Vayu) resides in Heart Chakra (Anahat) and Space element (Akasha) resides in Throat Chakra (Vishudh). Health of the chakras determine our physical, mental and spiritual well being. Although the Chakras are a part of our energy body, but they are also connected to the various endocrine glands in the body. The endocrine glands release hormones directly into the blood influencing and controlling various aspects of growth, development and daily activities. When we start to work on the five elements with Panch Mahabhoot Shakti Kriya, the chakras are also cleansed and balanced. In turn they affect the related endocrine glands leading to better well being of the physical body. The physical body feels light and is completely de-stressed after practicing the Kriya. Almost all physical and mental disturbances are caused due to blocks in our energy system. Our energy system is made up of Chakras and Nadis. If you feel sad, angry, irritated and depressed most of the times, it is because of blocked energy channels leading to sluggish chakras. The breathing techniques done during Panch Mahabhoot Shakti kriya cleanse the nadi system and free you from negative emotions like anger, worry, anxiety and depression. Practicing the Kriya just once makes you feel happy and relaxed. Having a perfect emotional well being leads to more creative and prolific life. If you have been meditating for a long time or have just started to meditate, you must have certainly confronted the biggest hurdle that is of achieving a thoughtless state of mind. Every person who has practiced Panch Mahabhoot Shakti Kriya, have said to achieve that state. In exact words of a practitioner after practicing Kriya just once”First time in life I have felt so calm and focussed both at the same time while doing a practice. Although it was just for a few moments, but I know now what I am capable of” Achieving a state of thoughtlessness is dream of every meditator and by practicing Panch Mahabhoot Kriya you can surely achieve it. By giving just few minutes to Panch Mahabhoot Kriya daily you change your life forever. The effects are incredible and benefits are immense. *Learning Panch Mahabhoot Shakti kriya does not require Deeksha or Initiation in to the lineage. Yantra- Visual tools in Tantra. Science is the systematic study of the structure and behavior of the physical and natural world through observation and experiment. Tantra is also an systematic approach of understanding inner and outer psyche both. It is also an holistic approach which approaches to the study of universe from the point of view of an individual. Various branches of sciences are drawn within it like astronomy, astrology, physics, chemistry, Ayurveda, Psychology, geometry and mathematics providing practical means of realizing highest ideals of philosophy in daily life. Such sciences play a role in Tantra at various levels like Ayurveda is closely linked to Tantra and Ayurveda makes use of preparations made of alchemical forms of mercury, mica and other minerals. Such preparations are also an part of Tantra in which Ayurvedic preparations are used for mental and physical health. The timings of the practices done in Tantra have special importance. So the rules of Hindu Astrology are drawn into consideration. Various rituals and practices done balance the planetary effects is considered quite a much part of Tantra. Like Science in which we have defined theories and methods, Tantra is also a system of defined techniques. Science is not based on opinions or beliefs, it is the experience that matters. As in Tantra the practices are experiential, it is not the belief that generates results, but wisdom is a direct gain from practices. Tantra practices grows from gross to subtle giving us experience of each level of existence thereby transcending it. The energy concepts of Tantra are now being recognized by many modern scientists. A strong similarity is being discovered between the scientific and tantric concepts of energy. The alchemical traditions found in China, Middle East and Europe have been linked to Tantra. In last century many scientists have described parallels between quantum physics and mystical view of reality described in ancient texts of Tantra. Tantra also means “Technique” and it suggests that if the path is followed in a certain and defined manner the result is to be seen. Tantra is the most ancient experiential science, which takes us towards evolutionary existence, recognizing the complete human potentials. It is spiritual path that flourishes on every level of existence. The very scientific approach in Tantra gives it authenticity. One Pill for All – Does not work for in Spiritual path! Tattva Shakti Vigyaan sees a individual in its entirety. Although the basic elements are same for each and every person but we see all around different energies and different personalities. It clearly shows how many different types of people, personalities and emotions exist. Every person has a different mindset and capabilities. Although the differences exist yet a common goal also exists. A common goal towards which the whole humanity, knowingly or unknowingly is travelling. People who start their journey knowingly take up a commonly and a well known practice. Just after few days of practice they realize that it is not helping them grow and transform, something they had expected. Every person is going through all together different experiences and emotions how do we expect that a one single practice work in the same way for all. TSV views these basic differences as important aspect while choosing your path towards the higher goal. The five basic elements that makeup the whole universe are also within us. The five Tattvas Earth (Prithvi), Water (Jal), Fire (Agni), Air (Vayu) and Space (Akasha) are the core constituents of every individual. Slight differences in the potency and quality of these elemental energiescreate millions of personalities. The Tattvas are also part of the Gunas, Doshas and Bhavs. As the Gunas, the vata is the combination of space and air element, Pitta is the combination of fire and water element, Kapha is the combination of water and earth element. In the same way, Tamas is combination of water and earth element, Rajas is combination of Fire and air element and Sattva is space element. The various Bhavs also have combinations of elements. The entwined elements within us play so many roles at different planes. 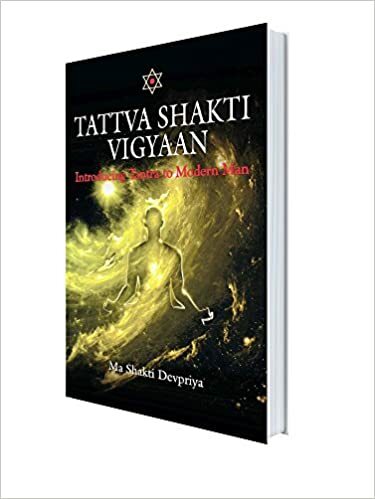 Tattva Shakti Vigyaan recognizes this uniqueness in every individual developed due to various combinations of Tattvas within them. The presence of Guru is an important aspect of a spiritual path. Guru sould be accessible to disciples for handholding during sadhana. So the Masters are always present for the TSV practitioners guiding them through the path. Any sort of addiction changes the healthy energy patterns of our energy body to odd and defective patterns. The kick or altered state of consciousness a person feels after consumption of any toxic substance is felt because new abnormal ‘Energy Current Loops’ get created in the ‘Pranamaya Kosha’. These loops are not created through intention rather chemicals and with few repetitions these energy pattern almost get permanently itched. And as they start fading (the newly formed loops of energy in your body) person feels uneasy until the circuit is re-energized. The addictive substance helps in completing the newly created oddly formed energy circuit. This energy in these circuits moves in opposite direction causing various issues in our physical and energy body. In fact these are sort of short-circuits within energy body. Since the changes in the Energy body take time in manifesting in the physical body hence negative effects of ‘toxic agents’ are not visible in the physical body in the early stages. Modern de-Addiction methodologies are based on the principle of ‘sankalpa’ and creating new, positive habits through ‘rehabilitation schedules’ which include regular exercises, mind training and motivation associated with mental relaxation. De-addiction therapists don’t focus on energy-body but physical body and mind. TSV sees it differently. It says when these energy patterns are bought to normal, craving stops and thus addiction loses its clutches automatically. Sadhana works in creating newer more powerful energy patterns in you. So for most of the TSV practitioners this comes as a surprise. Before you even know, you have freed yourself from this dreaded monster. Tattva Shakti Vigyaan sadhana works on cleansing and balancing the elemental energy. If we summarize it in one line it would be; Balanced Energies = Balanced Mind = Balanced Emotions = Balanced Personality. Basically TSV changes the strengthen the patterns of these Elemental energies so the changes are natural because it the energies which decide a person’s habits, his/her behavior patterns and even choices. Further if you are weak in your Energies you are vulnerable to outside-body changes – such people are prone to addictions. TSV Level – I practices work on your energies; making it purer, more positive and strong. It also re-creates, restores healthy channels. A common question people ask before getting initiated to TSV Level-I, “Do I need to quit smoking and alcohol?” And quite surprisingly the direct reply they get is “NO”. They are truly relieved on listening to this and we smile. We say, why load your weak shoulders with some more burden. You are weak and meek (energy-wise) now and we don’t want you to make a promise which you can’t keep. Sadhaka or Sadhika will eventually become strong. we know, when (s)he can take a firm resolve. Although it is the need of every Sadhaka to keep your body free from any form of toxic indulgences but still we never ask our TSV practitioners from refraining until they are strong enough for it. TSV transforms – it does not attempts at superficial, cosmetic behavioural or even intellectual modifications in your psyche. Instead it makes you stronger, responsible and wise. It leads you the bliss within. Let your chakras be healed!! A question frequently asked by practitioners. So much has been written and known about the chakras that as soon as a person enters into Sadhana, thinks of healing, activating and cleansing of chakras. There are lot many practices surrounding the same, various meditations, various breathing techniques and various color therapies. I do not say this all do not work, certainly they do. But I cannot help thinking did Gautam Buddha, Mahavira, Swami Rama, Ramana Maharishi and many more who had experienced enlightenment and Kundalini Jangran, had gone through these processes. Well, even I am not sure of the reality. But there something very basic which we may be missing. And that is just so simple yet so tough that we tend to ignore the biggest facts of Chakra healing. While looking at the teachings and life’s of all the Great Masters, I find my answer. The two attributes of which I am sure all the spiritual awakened Masters attained was of Forgiveness and Compassion. The two qualities that start removing the blocks and cleansing the whole system, the moment you accept them completely without any if’s or but’s. Forgiveness and Compassion has to be extended to every person without any strings attached. Without having a slightest of doubt. Many people say this, that I have forgiven everyone in my life. But still they are not able to free their hearts from bitterness. It takes great learning and understanding to realize ALL people and circumstances are worthy of forgiveness. Miraculously Universe keeps on giving circumstances for you to learn these two main rules of it. A negative emotion will just keep visiting you till you have truly felt, accepted, forgiven and released. The more we suppress our negative emotions, the more ways they find out to meet us yet again on our path to freedom. We will never be able to grow without addressing them. Just after forgiveness, comes the next step of compassion. Every person has a journey, and most of the times we are unaware of the unhealed, broken parts of the other. How can an unhealed broken person behave, how frustrated he can be or how much anger has he been harboring within him. We make our own story around the behavior of the other. Having compassion means to forgive and then accept him, for as he is. Either you accept or not, you will be the only person experiencing it all. It is your call to experience negative or positive. The whole energy system of your responds to your decision. If you hold the grudge, the energies will stop moving, cleansing and get stagnated affecting the health of your chakras. If you decide to let go, forgive and fill your heart with a free flow of love and compassion, your energies start to flow cleanse and there by activating your chakras. You are the decision maker. Do you want your chakras to be healed?